According to a 2014 report from the FBI which examined 160 active shooter incidents that occurred between 2000 and 2013, more incidents occurred at houses of worship than at health care facilities – and none at abortion facilities. This information calls into question the weeks of skewed media reporting claiming pro-life “rhetoric” prompted the violent actions of a shooter at a Colorado Springs Planned Parenthood on November 27 this year, which left three people dead and nine injured. As tragic as any act of violence is, the media and the abortion industry are attempting to portray gun violence at abortion facilities like Planned Parenthood as a regular occurrence, something this FBI study disputes. To date, authorities investigating the 2015 shooting incident have not publicly commented on the motives of the shooter, Robert Lewis Dear, who now faces first degree murder charges. Pro-life groups nationwide have condemned Dear’s actions. According to the report, between 2000 – 2013, shooters at health care facilities were outnumbered by shootings in all other categories. 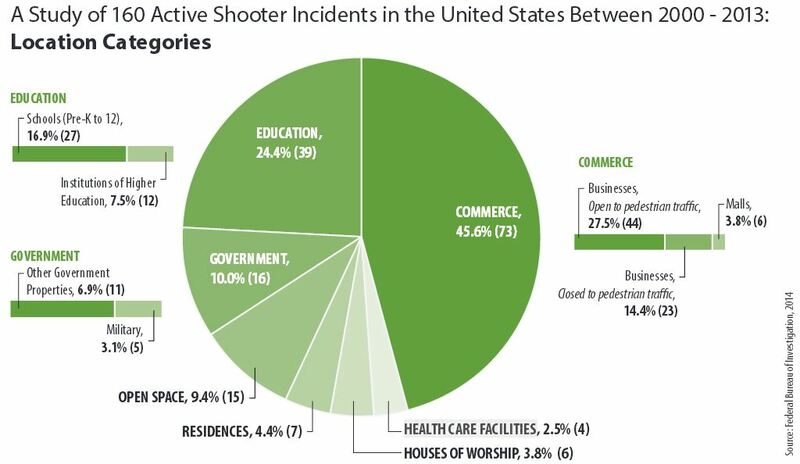 The largest percentage of active shooter incidents—45.6 percent—took place in a commercial environment (73 incidents), followed by 24.3 percent that took place in an educational environment (39 incidents). 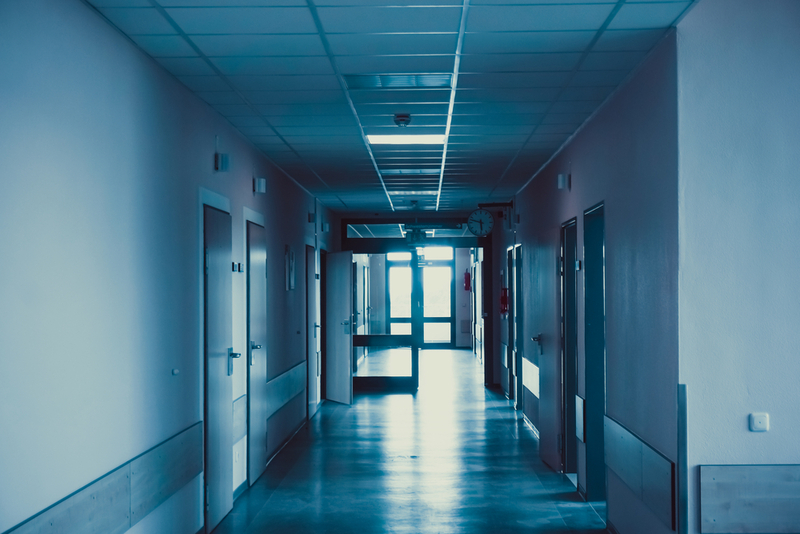 The remaining incidents occurred at the other location types with the lowest percentage being health care facilities – and of those, none were Planned Parenthood or abortion centers. On April 19, 2010, at 4:30 p.m., Abdo Ibssa, 38, armed with a handgun, began shooting in the Parkwest Medical Center in Knoxville, Tennessee. He had been distressed over the outcome of his recent surgery and was trying to find his doctor, who he believed had implanted a microchip in him. When he was unable to find the doctor, he moved to the emergency room and began shooting. One person was killed; two were wounded. The shooter committed suicide before police arrived. The four shooting incidents at health care facilities outlined above resulted in 10 killed and 10 wounded (including 2 law enforcement officers). The 6 incidents in houses of worship resulted in 21 people killed and 27 wounded (including 1 law enforcement officer), according to the FBI study. While it is true that the Colorado Springs shooting tragically had a large number of victims, it is also true that the media fails to report shootings at other medical facilities with the same vigor as they did the Planned Parenthood incident.